We don’t need any more canned green beans,” my husband announced from the kitchen. I was sitting on the couch in the living room writing a grocery list for a holiday meal. I was wondering what had inspired his comment, so I walked into the kitchen. He had lined up 10 cans of green beans on the counter to make his point. You can guess who doesn’t like canned green beans in our house. “We don’t need any french-fried onions, either,” he added. I noted the four containers of onions lined up behind the green beans. Along with the green beans, several cans of corn were lined up on the counter. Proving his point involved effort. He had to bring all these cans from our storage pantry in the basement. Was this guy trying to inspire a column or what? He looked at me and smirked. I probably rolled my eyes at him. “Yes, I know we have lots of canned corn, too,” I added. This time I grinned at him, thinking about our future menus featuring canned corn and beans, and little else. “No one eats green bean casserole, anyway,” he remarked as he looked at the beans and onions. “I like it,” our daughter said as she strolled into the kitchen, almost as though I had planned her entrance. “It goes well with leftover stuffing,” she added. I had been enticed to buy a lot of vegetables from all the specials in grocery stores, and I know that canned goods last a long time on our shelves. Canned vegetables are among the longest-lasting food on our shelves, and the dates listed on them are meant for best quality. They are not safety dates. Commercially canned green beans maintain their quality up to five years, according to the U.S. Department of Agriculture. Commercially canned fruits maintain their quality about 18 months. Be sure to label your cans with the date of purchase, arrange in “first in, first out” order and use the oldest cans first. Canned vegetables are an economical, convenient food to have on our kitchen shelves. All forms of fruits and vegetables “count” toward the recommended 4-1/2 to five total cups of vegetables and fruits recommended daily. 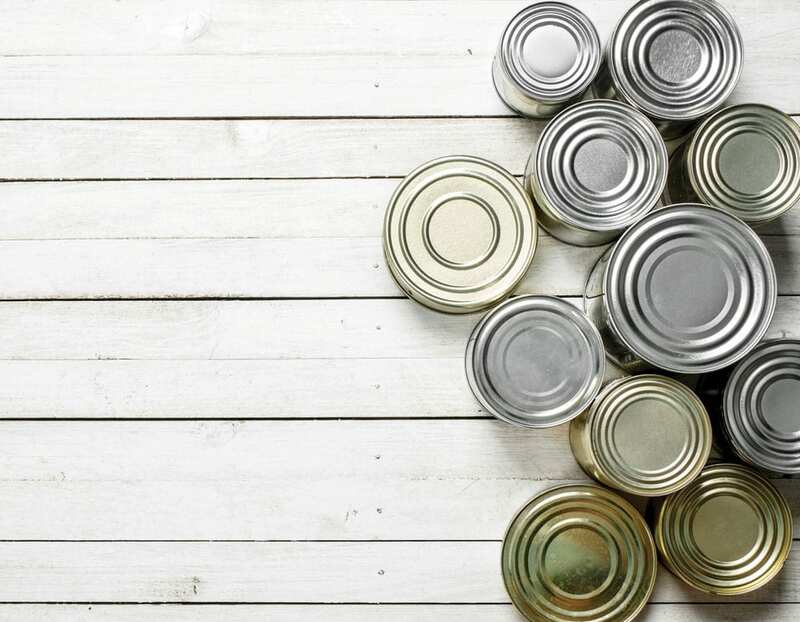 We have more than 1,500 types of canned foods available to us. According to some research, having canned vegetables and fruits available can boost fruit and vegetable consumption. An analysis of the eating habits of 25,000 adults showed that canned fruits and vegetables can make a difference in nutrition. Researchers analyzed data from the U.S. National Health and Nutrition Examination Survey collected between 2001 and 2010. Adults who ate canned fruits and vegetables ate 19 per cent more total fruits, 17 per cent more total vegetables, seven per cent more dietary fibre and five per cent more potassium. Children who had canned vegetables available ate 22 per cent more vegetables and 14 per cent more fruits in their overall diet, compared with children who did not eat canned vegetables and fruits. Canned fruits and vegetables are comparable in nutritional value to their fresh and frozen counterparts. Canned beans, for example, are an excellent source of fibre and folate. The cancer-fighting antioxidant (lycopene) in canned tomatoes is better absorbed than that in fresh tomatoes. The vitamin C in most canned goods is stable for two years of storage. If you are looking for new ways to inspire your menus with canned goods, visit the Canned Food Alliance website for some recipes. 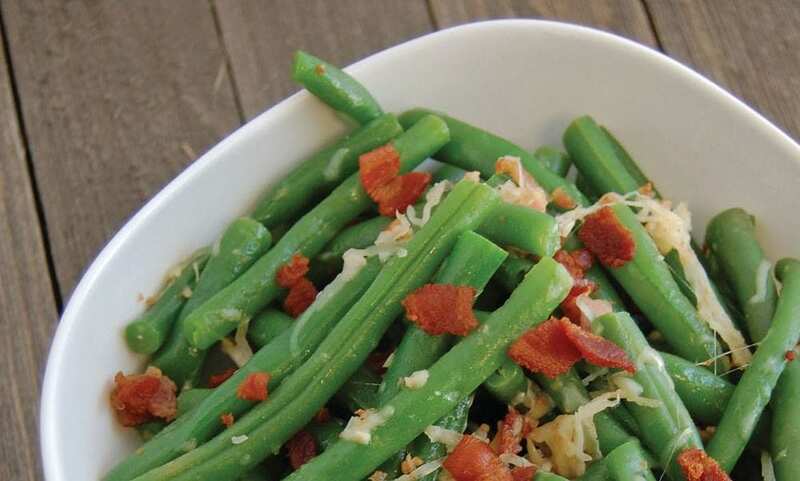 Here’s a tasty twist on green beans that is featured in our 2019 calendar. You can start with fresh or frozen green beans, but trying this twist might perk up canned green beans, too. I have a special bonus for the first 20 people who read my column to the end. Email me at [email protected] with “2019 calendar” in the subject line and your mailing address in the email body. I will mail you a full-size, full-colour calendar at no charge. Yes, you read that correctly: free. Thanks for reading! Cook and then chop the bacon. Cook the beans by placing them in a large pot of boiling, salted water, or microwave them. Fill another pot or bowl with ice water. Cook the beans until they can be pierced with a fork (usually three to five minutes). Remove the beans and place them in ice water. Drain well and place in oven-safe pan. Preheat oven to 350 F. Combine the bacon, garlic, Parmesan cheese, salt and pepper in a bowl, then mix with beans. Bake for eight to 10 minutes. Makes six (1 cup) servings. Each serving has 70 calories, 2.5 grams (g) fat, 5 g protein, 9 g carbohydrate, 5 g fibre and 160 milligrams sodium. This recipe offers a tasty twist on green bean casserole.